For one reason or another, you have your heart set on a yellow stone. Whether you're considering it for the center of your engagement ring or simply to add to your growing gem collection, this color is no doubt one of the most stunning in existence. 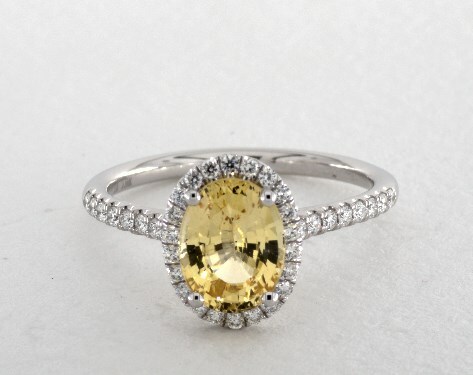 Now the question is: Should you opt for a yellow diamond or a yellow sapphire? There are many differences between these two options. Depending on your preferences, budget, priorities and personal style, you should weigh the pros and cons of both before making an investment. Wondering which is best for you? Here's a guide to the unique qualities of each. 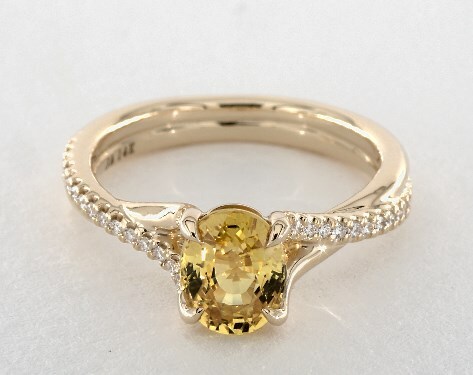 One of the primary advantages of a yellow sapphire is that it will be more affordable than a diamond in the same hue, making it an ideal alternative for those with a tighter budget. While of course synthetic yellow sapphires will be even cheaper, they do not have nearly as much value, durability or dazzle as natural yellow sapphires. 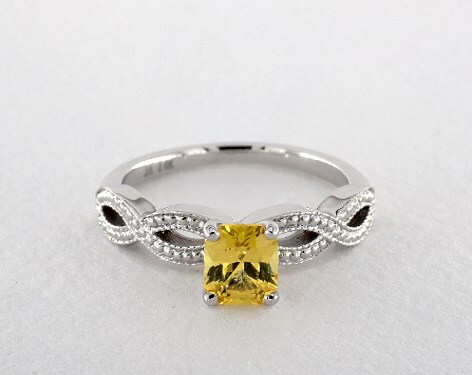 The best of the best yellow sapphires will have an AAA quality rating. 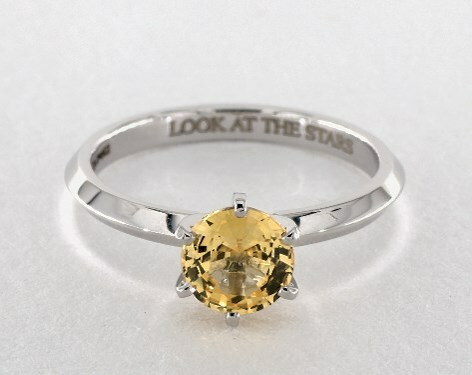 Keep in mind that like diamonds, yellow sapphires will also vary in tone. You might come across options in a range of hues, from light yellow to intense greenish yellow. The rarest and most coveted yellow sapphires are a vivid yellow or orangy yellow, according to the Gemological Institute of America. Whichever shade you choose, remember that cut and clarity are important considerations in terms of the appearance and value. In addition to being a less expensive alternative, sapphires are also relatively durable. In fact, they are one of the strongest natural gemstones in the world. While they are rated as a 9 on the Mohs Scale of Hardness, sapphires are still second to diamonds - which are rated a 10 - in this regard. This means they are pretty resistant to scratches and other damage. Like diamonds, there are a number of possibilities in terms of sapphire shapes and sizes, so there's almost certainly a stone to fit any buyer's tastes. While a flawless faceted yellow sapphire will have impressive sparkle, it will never match the brilliance of a yellow diamond. Still, these stones can come pretty close. Also known as canary diamonds, these stones have an undeniable allure that has fueled their popularity for decades. Fortunately, they're also among the most widely encountered of fancy colored diamonds, making them typically more affordable than blue diamonds, green diamonds, pink diamonds or other hues. While they may have a lower price point, though, yellow diamonds boast comparable beauty to other colors, so in a way, they're the perfect compromise for a budget-conscious diamond shopper. The cost of a yellow diamond can range significantly depending on a number of factors, including the carat weight, clarity and color intensity. These stones get their hue from trace elements of nitrogen that were trapped in the structure during formation, and the higher the concentration of this element, the more saturated the color. 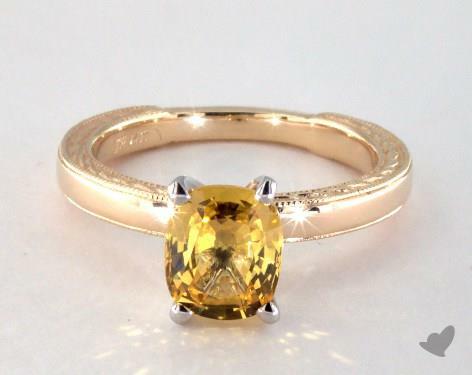 Light yellow diamonds are less costly as they are more commonly found. On the other hand, fancy yellow diamonds, especially those that are graded fancy intense yellow and fancy vivid yellow, will be more expensive because they're harder to come by - not to mention their rich color makes them even more awe-inspiring. 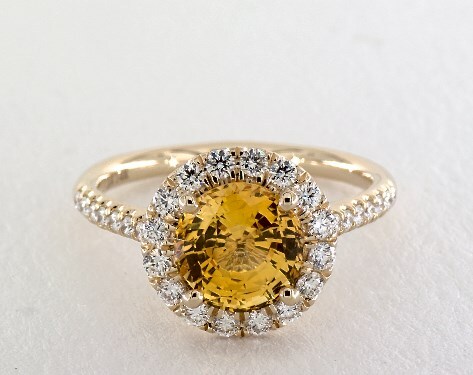 Clearly, yellow diamonds are an ideal option as a center stone for engagement rings. As diamonds are the hardest natural stones in existence and additionally, offer incomparable brilliance and luster, there's hardly a comparison for the discerning customer who wants a stone to sparkle for a lifetime. For the final comparison table we'll compare a 1.50 carat oval yellow sapphire engagement ring with a 1.50 carat oval fancy yellow diamond engagement ring. The details (including prices) are for simple solitaires and are taken from industry leaders through Google search. An important small note about the comparison - generally speaking, fancy shapes like the oval in the comparison (both diamonds and gems) are not as accurate as round brilliants and therefore mm measurements can vary. However, the measurements above are more / less the average using industry cutting standards. As can be seen, diamonds are lighter in weight than sapphires and therefore are larger for the same carat weight. Also note that the price difference expends with the weight. Meaning that in smaller more average diamond weight - 0.50ct to 1.00ct - the difference in price is much smaller.